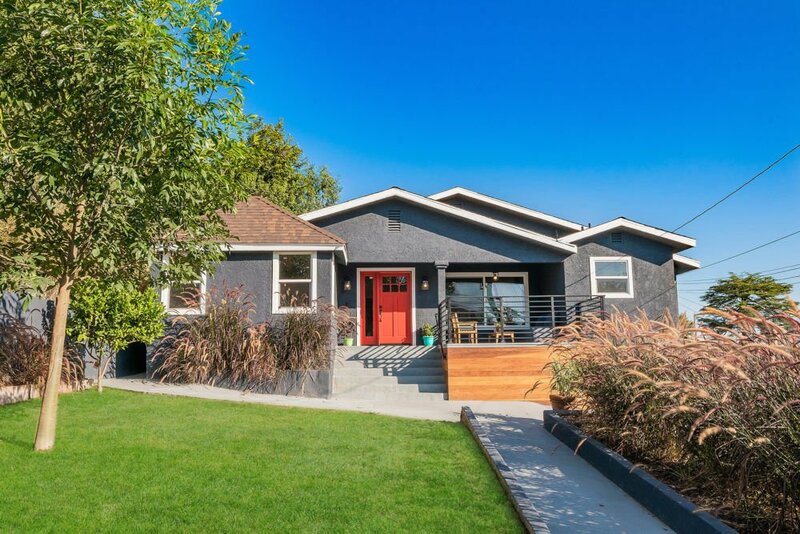 State-of-the-Art Highland Park Bungalow – it feels good to be home. After spending a clement afternoon on your front deck, you enter your crisp cooled home. 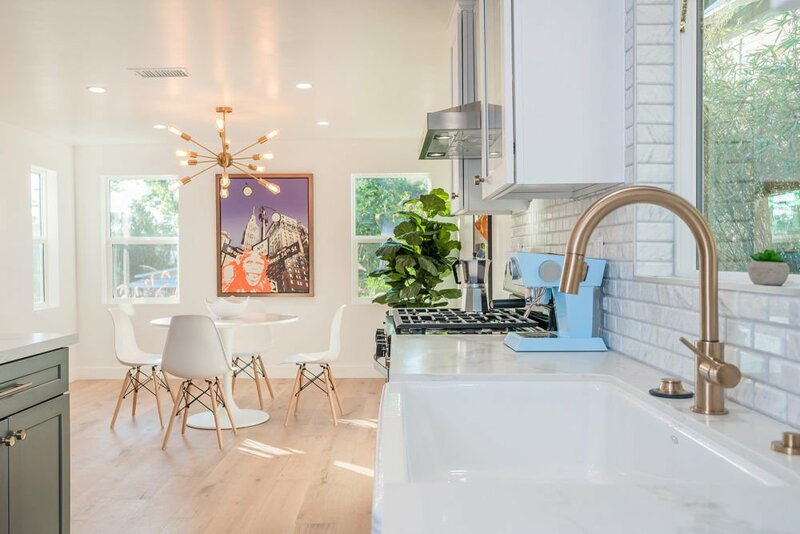 The living is easy in this head-to-toe renovated California bungalow that was formerly a duplex. Featuring treated hardwood floors, crafted onyx and marble tile floors and divine bronze accents. You have two master suites and a third bedroom in the main room. Boasting a cast living/dining area, spacious upper level patio and detached bonus room/studio offering a private spot for your creative sessions (bathroom attached to the bonus room is not permitted). Buena Vista Terrace screams convenience and is perfect for the modern pleasure-seeker. Just minutes from York Boulevard, Target, Trader Joe’s and Sprouts. A stone’s throw away from Pasadena. You can wink at Eagle Rock and walk along the grassy hills of Highland Park, or even go to grab a cold craft beer or açaí bowl. This is not a right-now home, this is a forever home. Please note that the seller is a real estate licensee. More details and photos at 6120 Buena Vista Terrace.